This is a facial designed to decongest, replenish moisture, exfoliate dead skin cells, boost collagen production, reduce the appearance of fine lines and lift sagging skin around the eyes. It is totally customizable. Part One consists of exfoliation, hydration and therapy treatments. 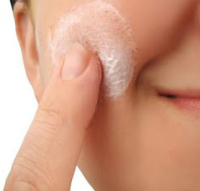 You may choose an exfoliating masque applied under steam or a microdermabrasion to remove dead skin cells. A moisture replenishing treatment of serums will improve lipid barrier function, leaving the skin feeling soft and supple. Part two consists of Secret Spas' relaxing, stress reilef facial massage and neck and shoulder massage. A series of essential oils is introduced and you may choose the most appealing fragrance for your aromatherapy pleasure. This too, is customized depending on your stress level and areas of concern. Be prepared, you may fall asleep. Part three consists of a collagen boosting treatment or a micro current eye lifting treatment. Microcurrent stimulates the muscles surrounding the eyes, resulting in brighter eyes and lifted brows. It's what some movie stars do before a photo shoot or before walking the red carpet. No Botox needed after this treatment. The collagen booster promotes circulation, strengthens, and maximizes cellular structure using LED. 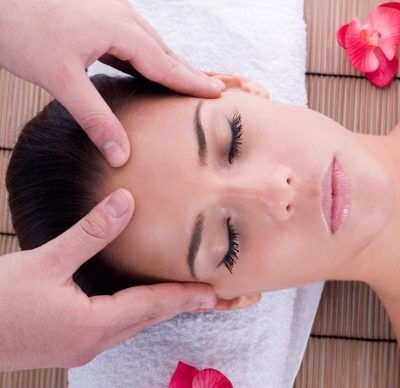 You'll top off your facial with radiance. 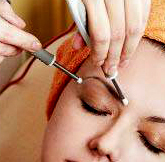 This part of the facial is recommended for people over 40 who have droopy brows. Disclaimers: Can not have epilepsy, diabetes, cancer past or present, metal implants in the body, and electrical implants such as pacemaker, those with thyroid issues or those who receive Botox injections. No substitutions to make up treatment time. slot cannot be filled, a fee of $25 will be charged.